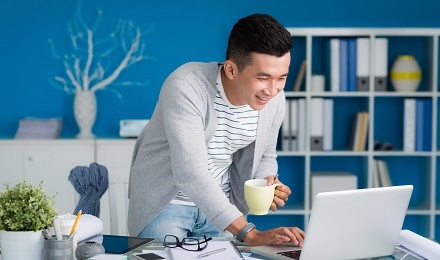 Whether you're an existing policyholder or just learning about AXA, we've got exciting promos to step up the way you protect your health and wealth. 1. PROMOTION PERIOD: The AXA Take Charge Facebook Photo Frame Promo (the "Promotion") begins on February 1, 2019 at 7:00H and ends on March 1, 2019 at 20:00H (the "Promotion Period"). 2. ELIGIBILITY: The Promotion is only open to legal residents of the Philippines in Metro Manila who are Facebook users. Employees of AXA Philippines (“Sponsor”), NBA Entities (NBA Properties, Inc., the National Basketball Association (the “NBA”), and their respective parent companies, subsidiaries, affiliates, dealerships, governors, related entities, partners, partnerships, principals, licensees, sponsors, and advertising/promotion agencies and all of their respective officers, directors, employees, agents, representatives, successors and assigns and their immediate families (parents, spouses, children and siblings and their respective spouses, regardless of where they reside), and household members, whether or not related, are not eligible to enter or win. This Promo shall be void where prohibited by law. Subject to all applicable federal, state and local laws. The information you provide as detailed below will only be used for Promotion purposes. a. Use the AXA Take Charge Facebook frame in your display photo/ profile picture. b. 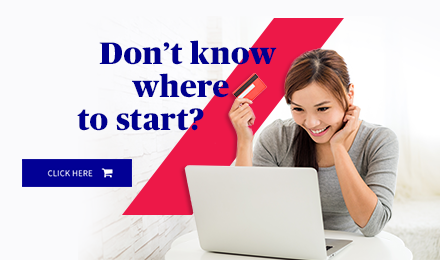 Tell AXA in the comments section their story on how they plan to take charge of their lives with the hashtag #AXAwhatsyourgameplan and #ITakeCharge. 4. DRAWING AND PRIZE: Every Sunday, 2000H, of the duration of the promo, except for February 3, 2019, AXA will randomly draw 5 lucky winners who will each win an AXA - NBA merchandise. These dates are 10, 17, 24 February and 3 March 2019. 5. Eligibility will be determined in accordance with these rules by the Sponsor, whose decisions are final in all matters relating to the Contest. Odds of winning the prize depend on the number of participating eligible entrants. Winner will be contacted by Private Message via Facebook. Winner must respond to such message within 48 hours upon notification or else he or she will forfeit the prize. In the event of noncompliance within any of these rules, the prize will be forfeited in connection with the relevant entrant. In the event that no eligible entries are submitted, AXA PHILIPPINES will not give away the prize. The Sponsor reserves the right to substitute a prize for one of equal or greater value if the designated prize or any portion thereof should become unavailable for any reason. 6. Limitation of Liability. AXA Philippines, NBA Entities, and each of their respective parent companies, subsidiaries, affiliates, advertising/promotion agencies and each of their directors, officers, employees and agents (collectively the “Released Parties”) are not responsible for lost, late or misdirected mail, miscommunications, entries, failed telephone, satellite or cable hardware or software or lines, or technical failure, or jumbled, scrambled, delayed, or misdirected transmissions, failures or difficulties, or other errors of any kind whether human, mechanical, electronic or network. Entrants who tamper with or abuse any aspect of this Contest, or act in violation of the Official Rules, or act in any manner to threaten or abuse or harass any person in relation to this Contest, as determined by The AXA Philippines Division in its sole discretion, will be disqualified. Any attempt by a person to deliberately damage or undermine the legitimate operation of the Contest is a violation of criminal and civil laws and AXA Philippines reserves the right to seek damages from any such person to the fullest extent of the law. Released Parties are not responsible for injury or damage to participants’ or any other persons’ property related to or resulting from participating in this Contest. 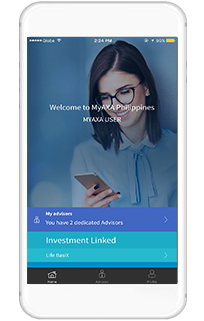 AXA Philippines will resolve all disputes in its sole discretion. By participating in the Contest, each participant agrees to release, hold harmless and indemnify the Released Parties from and against any and all liability, losses, damages, rights, claims and causes of action (however named or described) of any kind resulting from or arising out of the participation in the Contest and/or the acceptance, possession, receipt or use of any prize, including without limitation, personal injuries, death and property damage. No responsibility is assumed by any of the Released Parties hereunder for any error, including typographical and/or technological error, omission, interruption, deletion, defect, delay in operation, theft or destruction or unauthorized access to, or alteration of electronic data; or any other problems in connection with the Contest, including, but not limited to, technical malfunctions in the posting of the rules on-line or the functionality of any website or web service. Any trade names, trademarks or service marks shown as part of the materials associated with the Contest are the property of their respective owners. The invalidity or unenforceability of any provision of these rules shall not affect the validity or enforceability of any other provision. In the event that any such provision is determined to be invalid or otherwise unenforceable, these rules shall be construed in accordance with their terms as if the invalid or unenforceable provision was not contained therein. 7. Publicity. Acceptance of prize offered constitutes permission to use winner's name, biographical information and/or likeness for purposes of advertising and promotion without further compensation or authorization as permitted by law by Basketball Properties, Ltd., AXA Philippines, NBA Entities, and/or each of their respective parent companies, subsidiaries, affiliates and advertising/promotion agencies. 8. Governing Law. All issues and questions concerning the construction, validity, interpretation and enforceability of these Official Rules, or the rights and obligations of any participant and/or entrant, will be governed by, and construed in accordance with, the laws of the Philippines. 9. Sponsor. AXA Philippines, 34F GT Tower International, 6813 Ayala Ave cor HV Dela Costa St. Makati City 1226. 10. List of Winners: For the names of the winners, please request by email to customer.service@axa.com.ph no later than 15 March 2019.